So normally when husband and I visit a particular place, we don’t like to travel to the same place very soon. Because the world is huge and there's so much more we have to see and explore. And inspite of traveling to Kerala around 3 years ago, suddenly my husband insisted on visiting it again this year. Of course the last time, we traveled to Kerala we had only been to Munnar and Thekaddy. And I am aware that Kerala is much bigger and prettier apart from these two places. But still, there are so many other places we have to see, and going to Kerala again, just to visit this place called Wayanad did not make sense to me. 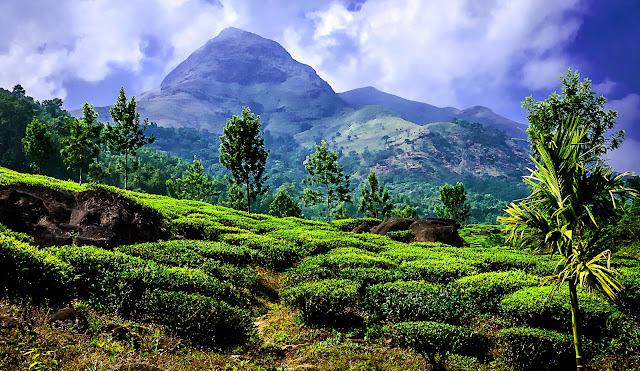 I started browsing the web for Wayanad and I was amazed by all the natural beauty, ancient architecture, and wild life resources that this place had to offer. And suddenly I became more excited about visiting this place than my husband. So here are my top 3 reasons why I am going to visit Wayanad and probably why you should too. 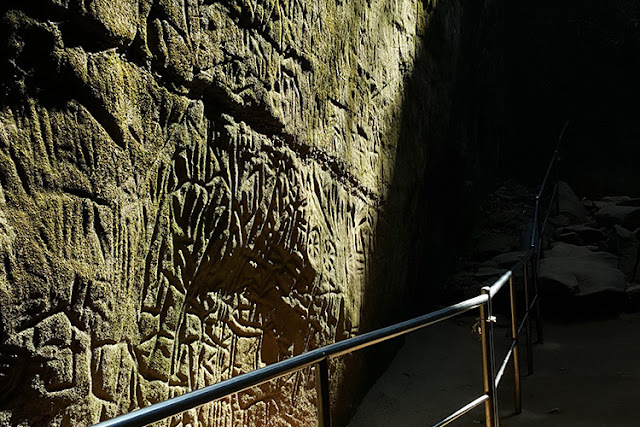 But what got me excited about them is that Edakkal is the only known place in India with Stone Age carvings that date back to 6000 B C. These carvings belong to Neolithic and Mesolithic age. 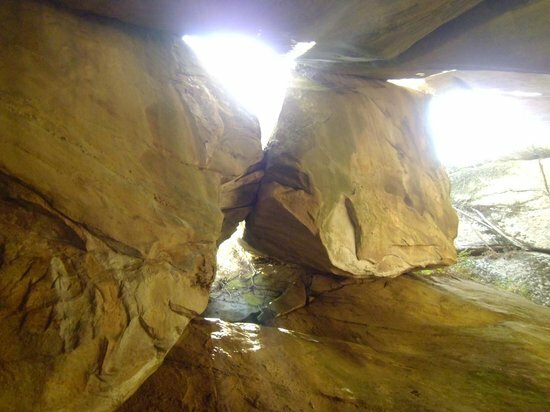 The human figures of these caves have raised hair and seen wearing masks. Along with the pictorial carvings, you also see Tamil and Brahmi Script in these caves. 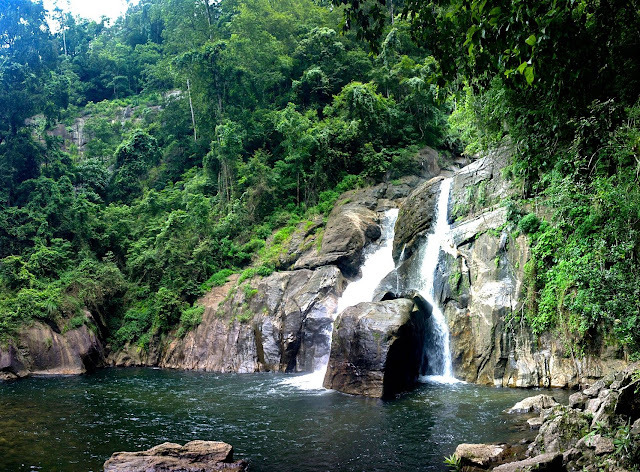 It is a three-tiered waterfall with a height of 300 metres. Meenmutty is a combination of Malayalam words Meen (fish) and Mutty (blocked). I know, you might think what's so special about these, but the hills, valleys, lakes and the exclusive flora and fauna surrounding it, make this one a picturesque spot you can’t afford to miss. Chembra Peakis the highest peak in Wayanad, about 2,100 m above the sea level. Trekking on the Chembra peak requires permission from the forest office in Meppadi. On the way to the top of the peak, you come across a heart shaped lake which is believed to have never dried up. And that's why this place ranks on my top must visit places. 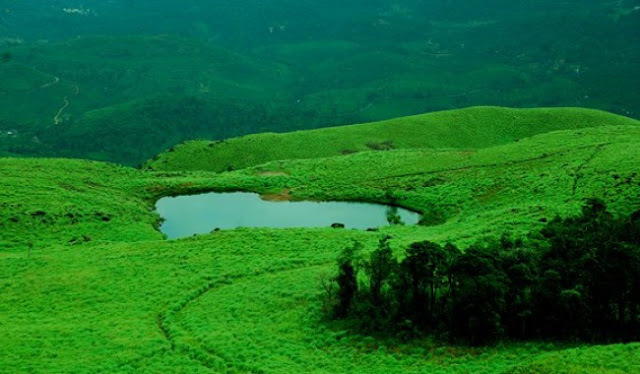 Apart from these 3 attractions, Wayanad has a host of other things to offer. They have historical museums, wildlife sanctuaries and of course the yummy south Indian Cuisine, which you can’t afford to miss for anything in this world. Even the hotels and resorts in Wayanad are set in such picturesque backgrounds that you would like to spend majority of your time at the resorts itself, instead of venturing out. So wait no more and plan your next trip to Wayanad as soon as possible. P.S. We do not own images used in this post. hope you enjoy there and tell us all about it! How about sharing your pics from your vacay?